After just a few short months, we are on the move! Our lease with our friends at Forager Brewery ends Aug 31st and we have not been invited to renew. We must move all operations to our upcoming new location at Flats on Fourth opening this Fall. We are so thankful to this community. We love you all like family and cannot stress enough how much we will miss this space and this neighborhood. All of you have made our first year deeply rooted in sincere friendship and close-knit community. We are forever grateful. We are surrendering to the change and will do all we can to make our new location all the more amazing and community driven. Our lease will be ending before we will have doors open at the new space and humbly ask for your support to bridge the gap. This fund will help us keep our staff paid and help cover the immense costs of the buildout. 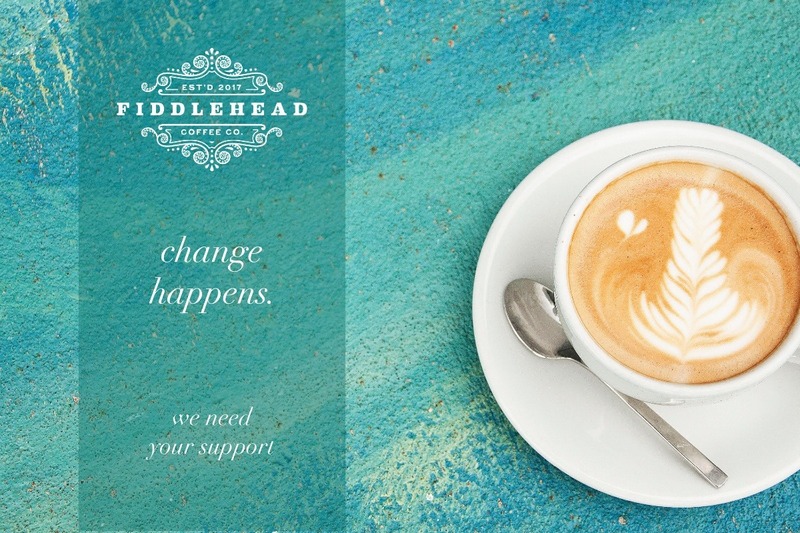 You can also help us by charging a Fiddlehead Family Membership Card or by joining our Roaster’s Circle . As an inaugural subscriber, you will get 52 weeks of whole bean coffee, a free cup at pick up and a $1 off each bag.. Please come by and see us in the next few months as this chapter comes to a close. We can’t wait to have you over in the new space. Follow us on Facebook and Instagram for details on grand opening events and developments. Thank you, Fiddlehead family, we would be nothing without you.